Unparalleled expression of Elegance ! 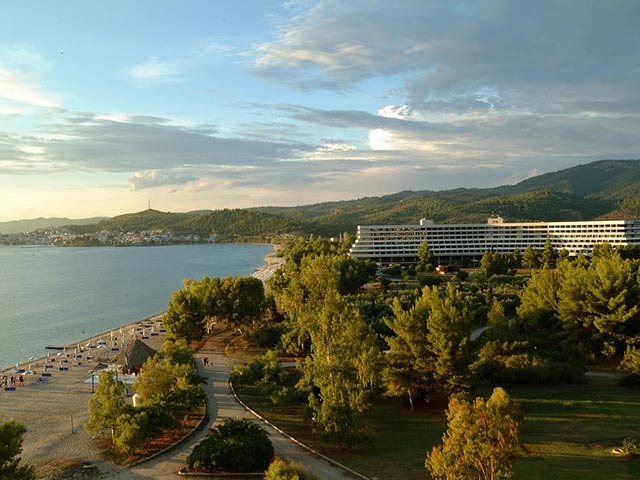 Chalkidikí or Halkidiki is one of the prefectures of Greece. It is located in the southeastern portion of [Macedonia (Greece)] (Central Macedonia). The Cholomontas or the Cholomon mountains lie in the northcentral part. It consists of a large peninsula in the northwestern Aegean Sea, resembling a hand with three "fingers" – Pallene (now Kassandra), Sithonia, and Ayion Oros (the ancient Acte), which contains Athos. The monasteries of Mount Athos are located on the easternmost "finger". Open April to October. . . .. A sparkling azure Aegean sea and golden sand surrounded by pine forests. One could not wish for a more glorious setting in which to spend a well-earned escape. Welcome to the luxurious Miraggio Thermal Spa Resort, an experience you’ll be talking about for a long time. Open: April to October ... 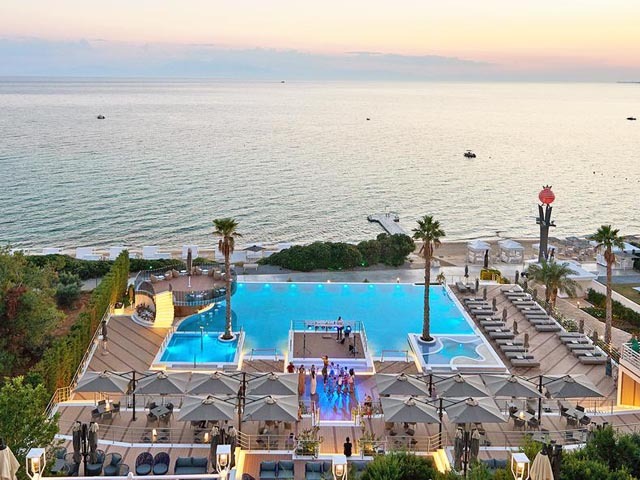 Experience world-class service at Olympion Sunset. Enjoying a prime beach-front location at Fourka Beach, this 5-star accommodation offers beautiful views, spacious rooms and suites, as well as wellness facilities. Free WiFi is available in all areas. Kallithea Town is approximately 15 km away. 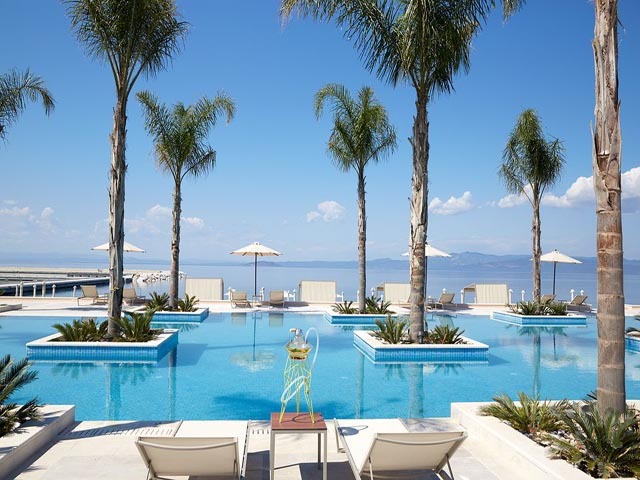 Open:April-October...The Pomegranate Wellness Spa hotel is regarded as one of the best new hotels in Halkidiki and the most amazing new spa resort in all of Greece. 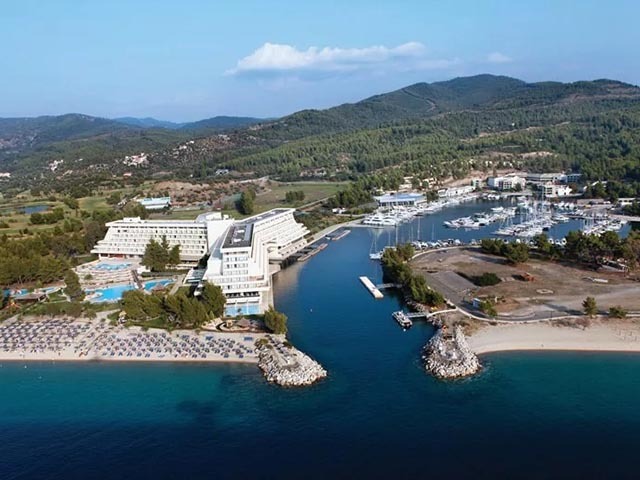 Opened in 2013, this exceptional 5 star Halkidiki resort enamors guests with its intimate settings, its luxury services and unrivalled amenities that brilliantly blend to offer even the most discerning travelers an unparalleled holiday experience. Open All Year... Built in a wonderful position overlooking the Domaine Porto Carras, the villa, which resembles a smaller version of a Mt. 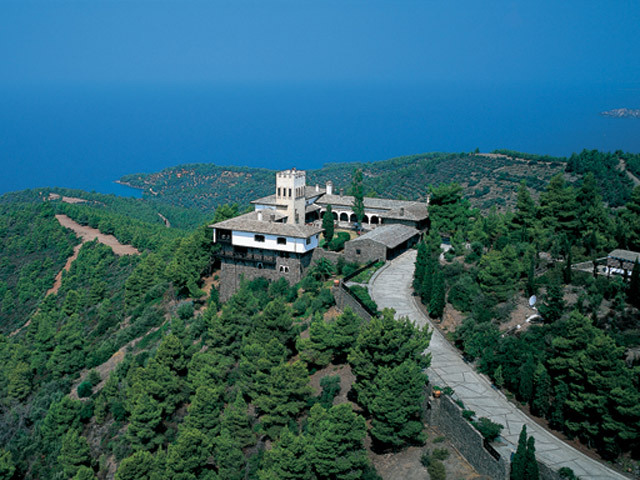 Athos monastery. The view from Villa Galini to the sea literally steals one’s breath away. All Contents Copyright © Interdynamic SA. All rights reserved 1994-2019.